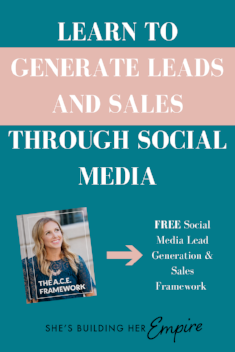 I recently chatted with a friend and fellow mastermind member, Theresa Loe and she is a team building and digital marketing coach for online entrepreneurs. She helps visionaries to find and build their own teams so they can scale their business while getting their life back…which you know I'm all about! 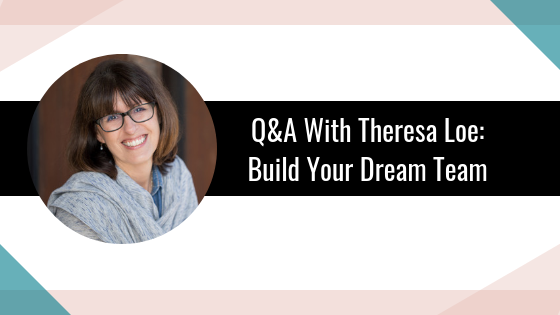 If you don't know Theresa yet, I'm going to let her give you a little bit of her background, her story, just how she got into business because it's a little different, a little more unusual than what I've heard! But it's pretty incredible and I want her to share a little bit deeper. Theresa: “Yeah, I do have kind of a different story, don't I?! I started out as the co-executive producer for a television series on PBS and I did that job for 9 years and anyone who is in the online business knows that it's really cool if you're the CEO, if you have like a second in command or an integrator or a chief officer who makes everything happen for your vision. Well that is what a co-executive TV producer does. They make the vision of the show happen. So I did that for nine years and I actually appeared on the show because it was a gardening show and I happened to be a backyard homesteader, which is kind of unusual! I have backyard chickens, I live in Los Angeles, we grow our own food. So I started appearing on the show and I started getting a following. I started a business where I teach people how to garden and how to can their food. As I started building my business and it took off like gangbusters, I realized very quickly that the mindset that I had for being the second in command of a business was very different than the CEO position! So I naturally have like, there's different styles of leadership, and I naturally fall into what's called the operational leadership. So I can look at something and I immediately go into, we'll do this, this, this, and this, and these are the tasks that need to happen. Well, that's a perfect integrator type, but for the CEO, you have to step into the visionary role and you have to let someone else do all those things that I had previously been doing. So I became obsessed with building my own team because I very quickly realized that I couldn't do this all by myself. This is just a huge problem in general because a lot of us start a business because we love what we're doing. We don't necessarily love business, we love the hobby or the action of whatever that is and all of a sudden you're going, whoa, I have a business, but I don't know how to run it! And then how do I have people jump in and help me? No one knows how to hire or interview or any of that. So it can be really scary. Now…I do want to stop and kind of pause to put some attention on you saying how you started a canning business and teaching people how to garden and it blew up. Let's just make sure people heard that part!! If you're reading this and thinking, oh, I don't know if people want what I do or it's not your typical business…but canning, I don't see a lot of canning people! But I think they say the riches are in the niches, so make sure you are not second guessing yourself because look at what Theresa has built, which is pretty incredible!! Theresa: “I would like to speak to that for just a moment because I was in that same boat, like, well I see people doing this for business, but would they do it with a hobby? Which gardening and canning food, all the artisan food crafts are really hobbies. I love that! You had said you're a natural integrator. So if somebody's listening is thinking, I kind of sound like Theresa, I might be a natural integrator, how do they become the visionary? What are some things that you did to make sure that you were in the right role in your business? Theresa: “Yeah, there's a lot of mindset stuff to it. First of all, it's about building trust with your team. So to back up a little bit, you have to have the right people on your team so that you can feel comfortable handing things off. If you're a natural integrator type, letting go is really, really difficult. And so one of the ways to be able to let go is to be able to have the team or whoever you have, even if it's one person, have them, have confidence in their job, have them have confidence in what they're doing. That in turn gives you trust in what they're doing! So really the question is how do you build confidence in your team members? There's actually a 4-step process. So it's the same way that we build confidence. When you think about how, maybe you're thinking of doing something that you've never done before, like Facebook live, maybe you've never done Facebook live, you're petrified to push that button and your hands get sweaty, you get butterflies in your stomach and you start to think that you're going to die when you push that button. It's very common! Well, you have to remember it's the same thing for your team when they come on, most of the time they don't understand what we do. So we're putting them in an environment where they have to have commitment which is the first step. They have to have commitment that they believe in what we're doing and that's on us to sell them on the idea or the vision of what you're doing with the company. But the very next step is that they have to step into courage to step out and do some of these things and know that they're not going to get fired if they do it wrong. So they have to step into courage just like we have to step into courage when we push that Facebook live button! Having an awareness of that means that yeah, you give them a little push that you're going to do this, but you also give them the assurance that it's okay if they make a mistake, that that's going to be part of the process and that you're okay with it. Then the third step that has to happen for them is that they have to step into capability. So they get up the courage to start doing some of these things. They start getting capable of doing it and it's our job as the CEO to make sure that they have like the tools and the resources available to them to be capable of that task. And when they start doing the thing, they will get confidence because they are now capable of it. Once they feel that confidence, you start to feel trust in what they're doing. Every one of those, you're so right!! If they're no confident, you will never be confident in them. So we have to make sure that they gain that confidence. So, is there a company or is there a type of business where you've looked at and said, oh yeah, you can do this on your own, you don't need to build a team, you're good?? Theresa: “No, there's not!! I think in what I teach in to my students and to my clients is that there's really 3 levels of entrepreneurship and it doesn't matter what level you have or what level you're in, you need help! So the first level is the building stage and that's where we all start. You know, so many of us, we look to the people who are ahead of us and we're like, ah, they probably never struggled with what I'm struggling. But the truth is we all struggle and even if you get to the next level, there's different struggles. So at the very beginning when you're building your struggling with not having enough money and so you start thinking, well, I'm just barely getting some money trickling in. I can't afford help. That's like the first block you have to get over. You really can't afford not to have help because even if you just free up like 5 hours a week with someone or just 2 hours a week and you make sure that you don't use those 2 hours on something that you shouldn't be doing, like a social media or graphics or something, but instead use it for bringing in more money so that you can have more hours that you can get help with. You have to be really strategic. So you start out really small but you still need help! So that's the building stage. The second stage is scaling and that's usually where people have some money coming in, they have some helpers, but now they are starting to get afraid. You start having all the fears of having more people and having to manage. That's the stage where you find yourself handing out tasks and then checking on those tasks and managing all the people and you're not getting anywhere. You're spending all your time managing. One of the tricks to that is that you never hand out tasks, you hand out responsibilities so that people can make decisions for themselves. Oh 100% agree with you! Talking about staying in your zone of genius, just looking at what have I done today and what my team has done behind the scenes. I don't even know what they've done, but I know, like you said, I know what they're responsible for and I know what they need to complete, but I don't know what the little details are and that's exciting for me! One of the things that I did today was I prepped content that I'm going to record on Monday. So both of those things for me are things that I can't delegate and then I did a coaching call with one of my mastermind clients and I'm interviewing you. And every part of my day has been something that, it's my zone of genius, it's where I need to stay so that my integrator and the other people on my team can really make sure all the little things that I shouldn't be focusing on are getting done. So I love that you're bringing this up to show people! Can we talk a little bit more about when you said you don't delegate tasks you delegate responsibility? Well, if you don't create that self managed team, what happens is you say, well I could just do this myself faster and then you decided to let them go. Right? And then you're in this never ending burnout stage because you're doing everything. You can't do that! Theresa: “Yes! It's so, so true. But to go back, you definitely need to be handing out responsibilities. So what does that look like? It means that instead of handing out the one task, they have a project that they're working on and there's several tasks that have to happen for it, and they understand how that project fits into the bigger picture. So I tell people that as the CEO, you have to think of yourself as the lighthouse so that everyone knows what the destination is. And there's been experiments done where they take people, they'll put them in a room and they'll say, okay, I want you to walk in a straight line to that corner over there. And they start walking and they'll put a chair in front of them and they'll just walk around the chair and keep going to the corner because they know that's their destination. They'll take someone else into the room and they won't say where to go. They'll say, just walk in a straight line. They'll start walking. You put a chair in front of them and they stop because all they know is they can't turn left or right and they really don't know where they're going. So they stop. I love that! So see the lighthouse, show them what it is, make sure they have that vision too! Now, when people first start hiring, because who doesn't need to hire at some point or I even have a wishlist of my next hire even though I'm not hiring at this second. But what are some mistakes people make when they're hiring? Theresa: “Hmm…I think the biggest is that they hire for skills instead of characteristics. What I mean by that, and I did this too, is that, let's say you're a blogger and so you want to hire someone to help you with your blog. So you put the word out and you're looking at everyone's resume and just making sure that they are ninja skilled in WordPress. Well, that's really not what you want to be looking for. You want to be looking instead for someone that has the characteristics that will mesh with you and your working style, but also for someone doing that job. So like they want to be detail oriented, they're good at proofreading, they're good at being resourceful, all of those are characteristics that might be important to you and in and instead not look so much at the skills. I love that and I think looking at somebody, our next hire we were thinking we need somebody to help manage my calendar and just do like the tedious little things and help me stay organized and we were writing down all the characteristics! We said she needs to be so obsessed with organizing, it needs to be fun for her, she needs to have a clean car and a clean house. And why would that matter? Because if you really truly care about those types of things, that's the kind of characteristics you're going to have too. So I think it's SO important to understand who is the right person we're looking for, what would she have so we could teach her those steps. So I love that you're bringing this up! Any other mistakes people are making?? Theresa: “Yeah, I think one of the other ones that a lot of people do is that they don't slow down long enough to train and you kind of alluded to this that it's such an easy fallback for us. So we'll be sitting there going, okay, I could stop what I'm doing and show this person how to click these buttons and do it, but you know what, that would take me twice as long and we're always strapped for time, so I'm just going to do it myself. That's what we always say. I'm going to save time, but we're actually not saving ourselves time because next week we're going to have to do it again in the following week I'll have to do it again. I love that we're bringing this up because having that system in place, and I would love to get into systems a little bit, but having a system in place, not just for what you do but for what other people do because what you don't have control of is if somebody just quits on you or they go on maternity leave or any of that could happen at any moment in time. So if you've been spending all your time and energy training somebody and you haven't been recording or setting up those systems and then she leaves for whatever reason, or you fire her, now you've got to do it again. But I think people get so frustrated in the training part because they think, I've hired this girl, she's going to come in and make my life so much easier and they don't realize you have to show her or tell her what to do. I mean there's some work here, she's not just jumping in and being this magical unicorn, especially if you hired for the skill characteristics and not for the skill set. Let's talk about just a quick couple of tips on training and then we'll move into systems! Theresa: “I'll talk about when you're looking at someone being an integrator because the integrator kind of has to be the knower of all things. So they're the hardest one to train and you can apply this though to anyone that you bring on. So what I do and what I teach people to do is if you're going to be bringing someone on with the hope that they will step into a bigger role of being like second in command or manager of all of your people, is that you let them either interview each person in your organization as to what they do for their job or what I do is I have them do the job once so that they fully understand it. So, for example, for my podcast, it's a big process and so I had my integrator, when she first came on, I had her produce an episode from start to finish and I said, you know, here are all the instructions and you should be able to figure it out. This is so genius and I'm not doing this…wow, you just blew my mind! So your integrator could literally do everything if she had to. That makes sense because if she's truly your right hand, which that's what they are, they really should be just like that. So you're exactly right and I love this idea!! If they're managing somebody else, how do they really know? If they are doing it themselves or have done it before, they'll say you don't have to do it like that or this shouldn't take this long because she knows what it actually does. What's so amazing is you can tell if your systems are good because if she can't figure out your systems are not built correctly. Since we're kind of naturally talking about systems that kind of led right into it, what are you using to store your systems? How do you create systems from scratch? I can share what we did a couple of years ago in my brick and mortar business, but it's a lot of work so I'd love to hear what you do! People have told me about Process Street and they're shocked I'm not on it yet. But I think, do I really need it if we have our systems in Monday? But there are some things I could see get a little complicated. So I get that you're saying you use both. So you do think it's wise to have both of you have a big team with all these systems? I'm glad to hear you say that too because it has been working for us. So it's nice to keep everything simplified versus adding in this and adding in that and going all over. Now, monday.com you do have to pay for it, it's nothing crazy or anything, I think it's like $500 a year or something like that, but there are free ones out there. So do you think people need to run out and by monday.com or could they go get one of the free softwares out there? You did ask how do we create a process? So if it's something that I'm currently doing that I shouldn't be doing or don't want to do anymore, I will record it, start to finish and I just hand it off to someone on my team and they create the task board. Now if it's something really complicated like a launch or like we just had our meeting at the beginning of the year for our 2019 goals and we break them down. We had a meeting, we broke them down by quarters and then went through all the tasks that have to happen in the quarter for the different milestones that we had set up. So we did that as a group and my integrator kept it as a PDF. I do think even if you are a solo entrepreneur, I do think a project management software system is something you need to do immediately. I had somebody recently in one of my coaching groups say to me, I had never gotten a project management system because it's just me and I thought you had to have a team to do this. But no! I think this is a great place to start to really own your projects and to start to delegate them because you can start building your systems in there. So when you do hire somebody, you've got it! One last little question or topic…where do you think we should head next? Where's your first hire? Is it somebody high level? Is it your right hand? Is it just an assistant? Where do you think somebody should start? Theresa: “I think that for the most part, if they're a beginning solopreneur that they really just need an assistant because there's just a lot of miscellaneous stuff that needs to get done and an assistant doesn't feel so scary because the last thing I want to do is say, oh, you need your wing man and that's such a scary thing having never had anyone under you. It's very hard to step right into that. But if you start with an assistant, you know, like you said, having the calendar, making sure that all the boxes are checked, that are happening and organizing, all of that can really free up your time. Now, I was in business for quite a while before I had kind of a right hand and I was managing a lot of other employees and it didn't dawn on me that I needed somebody to be this person to help me manage and do all of this. So if somebody is reading this right now with a large team, but they're thinking, I don't have this role integrator, she keeps talking about, what do you suggest for that person? Do they hire within, within the team? Do they, you know, maybe announce this and let everybody apply. What would you say to that? Theresa: “Having someone as your wing man and I usually call them a wing man because there's so many different terminologies for them. But what they are is someone who can take your vision and make sure that it's happening. So looking over everything, making sure everyone's on track. We talked about the CEO being the lighthouse, the wing man is kind of like the streetlight. You have a pathway to that lighthouse. Everyone's on the path and they're keeping it well lit and making sure that no one goes *squirrel! * and goes off into left field! But they are also making decisions that you before we're making. So it's really important that they be a match or a balance to you. It's kind of like a marriage, so it's not like just anyone can do it. What I tell people to do is you first have to. Thank you so much for this. I wish I have read this earlier. I have an 8-person team and we have everything that’s been mentioned here, except for the passion of our supposed to be integrator. And now she’s leaving, so, I’m lucky, but hurt and disappointed. I was in a hole trying to think what I did wrong because she’s not just leaving, she also must have said something to the rest of my team, making them all act less motivated. But thanks to this I have my mind clear again because I sort of know now who I should be looking for next and what should be done to make it work. Thank you so much Stacy and Theresa. I think I’ve spent 2 hours in here, reading phrases by heart, taking notes and planning things out, writing them all down. So sweet of you to say, Yvette! So happy it was helpful to you! !